Norman Rockwell was an American painter who lived from 1894 to 1978. Have you ever heard the expression “A picture is worth a thousand words”? Well, Norman Rockwell’s paintings are good examples of that. As you look at them, you will discover that each one tells a story. You’ll find out more and more about the people he painted—where they live, what they like to do, and what kind of trouble they get into—the longer you gaze at the pictures. You can even imagine what they are thinking! From 1916 to 1962, Norman Rockwell created the 22 paintings in this book to be covers of a magazine called The Saturday Evening Post. They are shown as small reproductions on the inside front and back covers. When you color these pictures, you might want to try to copy his colors, or you might decide to use your own. 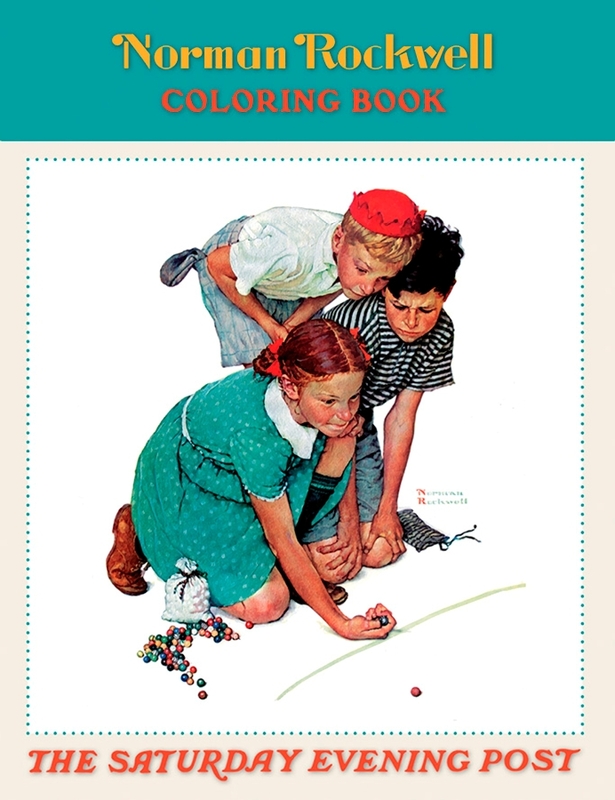 The last page of this book is blank so that you can draw and color your own picture that tells a story. It can be about you and people you know, like your family, your friends, or your teachers. Try to tell the whole story, as Norman Rockwell did, by putting in as much detail as you can.